GA is a free, online, web analytics program offered by Google. It offers detailed information on website visitors, sources of traffic and on-site user activity. Analytics also reports search terms used to access a site but, since October 2011, terms used by users who are logged into a Google property are reported as “not provided” (see not provided) severely limiting the search data provided. While GA is free for users, Google does benefit from the large volume of web traffic data it collects via the service. 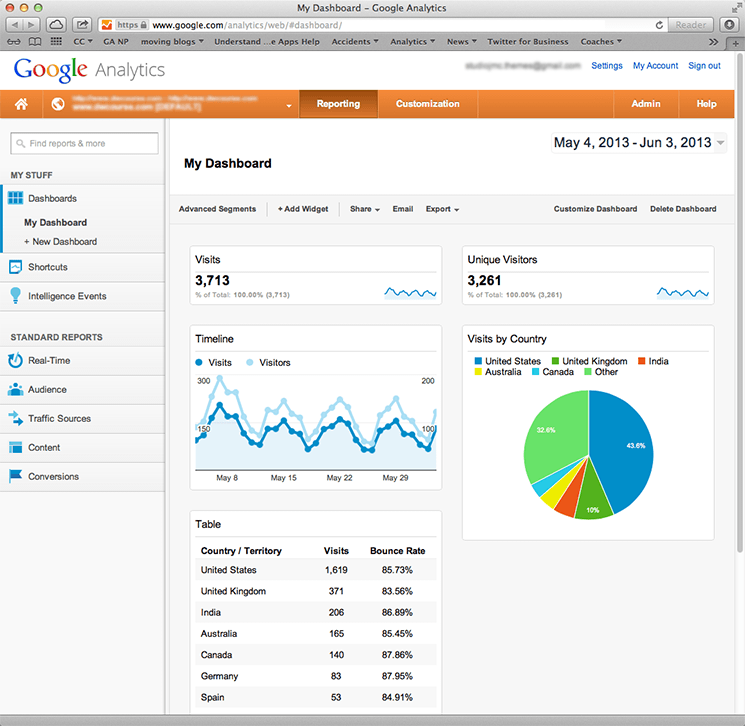 The Google Analytics user dashboard showing a variety of the user tracking data available.